Eaton's Filtration Division is a global leader in products that include pipeline strainers, bag filtration systems,and gas/liquid seperators for industrial and commercial customers worldwide. Primary markets include general industrial,petro-chemical, pharmaceutical, food and beverage, power utilities, marine and water. GAF Filter Systems, the company that introduced the concept of liquid bag filtration has been leading the industry with innovative concepts and products for more than 30 years. 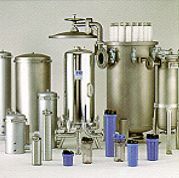 Its reputation for excellence in design and manufacture of filter bags and pressure vessels is unparalleled. For more than 40 years LOEFFLER FILTRATION has specialised in designing, manufacturing and marketing liquid filtration systems for a broad variety of industries. The company is firmly established as a market leader in Bag and Cartridge Filter Systems. LOEFFLER FILTRATION is a synonym for the production of user-friendly liquid filtration concepts of superior quality at reasonable costs. Advanced technology, modern and economical manufacture of stainless steel pressure housings (TUV, ASME and CE) and filter bags, as well as high quality standards - certified by ISO 9001 - are the basis of the success. 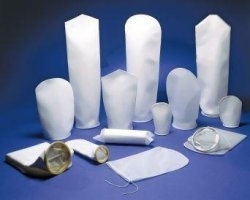 The extensive stock of filter bags and cartridges, standard filter housings and accessories guarantees ready availability and reduces stock expenses for customers. Highly qualified engineering and flexible manufacturing enables modification to customers specification. LOEFFLER FILTRATION operates globally. Local distributors like Particle Solutionz offer consultation and supplies of the complete range in more than 40 countries.